For the better part of three years, Bruce Boudreau was revered in the Washington, D.C., area for his part in molding the Washington Capitals into one of the NHL's elite teams. Hockey fans in and around the District loved Boudreau for his attacking philosophy, candor and folksy charm, manifested in a series of humorous commercials. Most importantly, he won. In a sports town with three other struggling professional franchises, Boudreau made the Capitals extremely successful on the ice and at the box office. With that success, however, has come increased expectations, and when his team struggled in the middle of this season, Boudreau faced negativity from the fan base he largely was responsible for building to such impressive numbers. "I've never had people negatively come up to me. What I've had was some pretty negative e-mails," Boudreau said. "You just wonder -- I guess when you've never had that, it is sort of a shock, but people get it. It comes with a rabid fan base, and I think we've created a rabid fan base so you have to take the good with the bad. People think what they want to think and they have the right to because they pay their money to." "Bluntly, coaches get fired because they've lost their team. To a man, the players like playing for Bruce and respect him as a hockey person. When it was going bad and he changed the system and get buy-in of it, you didn't hear any of the players really whining or complaining. They just believed. To me, that was an unbelievably positive sign. Now we're bearing the fruit of that." The crescendo of catcalls came during an eight-game winless streak in December. Not only was the slump twice as long as any Boudreau's Capitals had experienced, it was well-chronicled by HBO's cameras for their "24/7" series. There was a hint of dissent when Washington lost a first-round playoff series in shocking fashion to Montreal last season, but this was more severe. Boudreau's job security became a hot topic on radio talk shows, in local newspapers and the large blogosphere devoted to the franchise. "I'm on the front lines so I get the e-mails from people and I get the comments from the bloggers and the like," Washington owner Ted Leonsis said. "It wasn't pretty and I was disappointed in the tenor because when we lost four games in a row the ugliness started. Here's this great man who is a great coach and has (a great) record in the NHL as a head coach and he's lost four games in a row and everyone has a deeply held, strong opinion." "You always worry about those things. I haven't been a 25-year NHL head coach or anything, and it happens to people all the time. (General Manager George McPhee) was great and everyone was great about it. It was never mentioned." Eventually the winning returned to Washington, but the high-powered offense did not. In the middle of the losing streak Boudreau decided it was time for a change. His typically dynamic roster was struggling to score, so Boudreau felt the team needed to be better defensively to compensate. The result was a slightly less aggressive defensive system, and Washington's ability to prevent goals has improved tremendously from previous seasons. "Bluntly, coaches get fired because they've lost their team," Leonsis said. "To a man, the players like playing for Bruce and respect him as a hockey person. When it was going bad and he changed the system and get buy-in of it, you didn't hear any of the players really whining or complaining. They just believed. To me, that was an unbelievably positive sign. Now we're bearing the fruit of that." 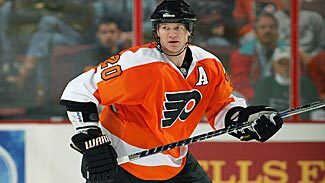 Added forward Brooks Laich, who has played for Boudreau in Washington and for Hershey in the American Hockey League: "At the start it seemed like a drastic change, but when you look at it now it really isn't that drastic. It is a bit of a change in mentality. Credit to (Boudreau) -- he's reinvented himself a little bit, but used the same techniques and the same theories. We've just tweaked a couple of things a little bit and our goals-against are way down." Loyalty has been a big part of Leonsis' time as Washington's majority owner. He purchased the team in 1999, and the general manager he inherited remains in charge, as are several of McPhee's top scouts. When the decision was made to blow up the roster during the 2003-04 season and rebuild, Leonsis stuck with McPhee when a change would not have been considered controversial. Shortly after Washington's eight-game winless skid had passed, Leonsis was asked how many games the team would have needed to lose for Boudreau to be let go. His response was to say that it was, "The wrong question, but a lot more than eight." "Certainly we've fired coaches before, but it wasn't because we've lost a bunch of games in a row," Leonsis said. "It was, for the most part, the players told us we don't want to play for this coach anymore. And coaches know; it also becomes self-evident. Very infrequently does it happen where a coach gets fired and they're shocked. They know the players aren't responding or sulking or talking to the GM or whatever. That has never been the case with Bruce. The players like him and respect him and want to play for him. They want to win for him. I'm very grateful for the job George and Bruce have done. "The reason it is the wrong question is it's not the losing of games, it is the losing of the team. That's a big difference. Never did I see that in the locker room or in the body language of the players." After the winless streak there were more growing pains as the Capitals tried to morph into a defense-first club. Washington was shut out five times between Jan. 4 and Feb. 25. A Capitals goaltender allowed one goal and lost three times in January. Part of the problem was injuries to key players. Part of it was the infusion of youth from last season -- the Capitals are competing with Edmonton for the most games played by rookies just one season after winning the Presidents' Trophy. "It has been an up and down year," Laich said. "Last year we had the wind at our backs and things went our way the whole year until playoffs. The thing I think we learned about last year is you have to be playing your best hockey when playoffs roll around. Stanley Cups aren't won in February with 14-game winning streaks." Added Boudreau: "I've had people come up to me and say, 'Why don't you use this guy there or that guy there?' The thing I think of as a coach is, 'Do people not think we sit and think about these things as coaches?' What do they think we're thinking? We've gone through ... there is nothing anybody on the outside can think of that we haven't tried to do or implement or thought of and rejected. I would venture to guess that if someone had come up with a new idea during those losing streaks I would have used it." If the 2009-10 edition of the Capitals peaked too early, then this season's group might be doing so at just the right time. After a 6-0 rout by the New York Rangers at Verizon Center on Feb. 25, the Capitals were five points behind Tampa Bay in the Southeast Division and stuck in fifth place in the Eastern Conference. Washington will travel to Philadelphia on Tuesday as winners of 10 of its past 11 games, including a season-best nine-game win streak that followed that blowout loss to the Rangers. The Capitals now are second in the East, in position not only to claim a fourth consecutive division title but possibly a second straight regular-season conference title, as well. Boudreau won the Jack Adams Award as the NHL's Coach of the Year after the 2007-08 season. Given the preseason expectations, he isn't likely to add a second this summer. Considering the in-season adjustments and injuries, though, this might be his best coaching performance yet. "We've had some adversity," Leonsis said. "The team last year was unbelievably talented and productive, but it is like a fighter in the ring who has never been hit before and doesn't know how to react. Now we have vets, and the young guys -- the first-generation guys like (Alex) Ovechkin, (Nicklas) Backstrom, (Alexander) Semin -- they have been through playoff battles and are more mature. This hasn't been a season about stats. It has been about the grind and the process and qualifying for the playoffs. "I was with Mike (Knuble) at a charity event the other day and I said, 'How are you feeling?' and he said, 'I believe this is the best team I've played on because it now has the right mix of really young players, young players coming into their prime and enough vets who have been through it.' That meshing with kind of three generations and the talent we have, I really like the way we're playing. I think the way we're playing is preparing us better for playoff hockey." The tenor with media coverage of the Capitals before this season, both locally and across the continent, was pretty simple. Fair or not, it was to be a season defined by postseason results. Three seasons of playoff Game 7 losses at Verizon Center have increased the clamor for postseason success from a Stanley Cup-hungry fan base. This regular season may have produced more drama than any of the previous three for Boudreau's club, but it also might end up being the prologue for the team's longest playoff run of his tenure. "I think we're more compact and we've got better parts right now," Boudreau said. "As good as we were last year, team-wise we're a little better. I think it is because we're a little older and we've got guys who have gone through the battles. It is going to be interesting to see how this all works out. "I don't think about my situation at all. I'm worried about the team doing as good as they can. I've always been and probably always will be treated great here. I don't even put that in the back of my mind. Who knows what can happen? I've seen the greatest people in the world get fired -- but I don't worry about it."